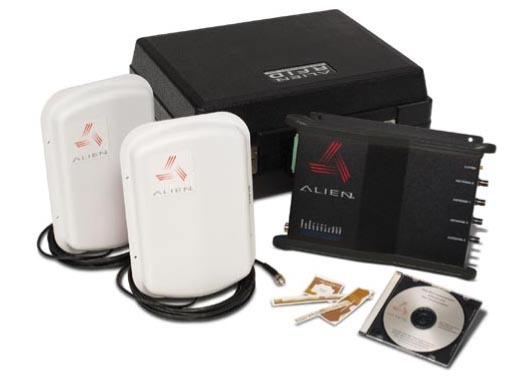 Although you may not be familiar with the term "RFID", you may already be using the technology. Radio Frequency Identification (RFID) is commonly used for express toll systems, security systems in hospitals & office buildings, and inventory control systems. You may even have it in your wallet right now. Credit cards companies have been using embedded chips for the PayPass point of sale technology for a few years now. The newest frontier for this type of system is in the entertainment & conference industry for attendee tracking & access control. In fact, it's so new that you may not even be able to find it. Well look no further! Production Services International is one of the only companies that is able to offer this exclusive technology to our clients. We recently introduced it at the 2011 National Conference in San Diego. Our customized application of this state of the art technology allows us to generate attendance data for CE Credits, track in and out times for attendees, limit access to meetings or backstage areas all without imposing on the attendee's conference experience. For years, PSI has been utilizing barcode & magstripe systems in the form of full color, custom printed, credit card size PVC name badges. Attendees pickup their badges at the registration kiosk just like any other conference. The difference is that we encode a barcode and / or a magstripe with their attendee ID number. When they walk into a room, they're greeted by a person that scans their barcode. That data is compiled after the conference with all of the other data & we can produce attendance reports. With RFID, the badges look identical to our existing badges aside from the fact that they're embedded with an RFID chip that has been encoded with your attendee ID number. Once we print the graphics & attendee information, you have a professional looking, durable, customized conference badge. Anywhere that attendee goes, their information is captured without interruption simply by walking into the room. Each entrance to the room is set up in advance with antennas that read each badge as it passes by. These tracking systems can either stand alone, or be incorporated into any existing registration system. However, PSI does offer turn-key solutions for conference registration systems. The concept is intended to be seamless & transparent to your attendees, so it makes sense to have it operate as a single process. Our solution begins with an online registration site that includes functions to book hotel accommodations, ground transportation, special food requests, register for classes, purchase materials or merchandise and process payments. In addition, we customize it with any additional information that you may want to include, such as agendas, expanded conference guides or special event information. Once pre-registration has been completed, we have our on-site team prepare for your guest's arrival with any conference materials and their credentials. After your conference is completed, we're able to follow up with each attendee with a customized online survey based on the specific meetings that they attended to give you accurate feedback based on their experience. This is based on the tracking information gathered through the RFID, barcode or magstripe systems. So, as you can see we've designed a very cohesive system to make an otherwise difficult process easy. Since this system is modular, you can easily add or subtract features to fit your specific needs! What else can it do? Let your imagination run! Backstage passes, employee ID/tracking, inventory control, lead retrieval, access control. You can even forgo any of the 3 data encoding options and print full color on both sides of a badge for incredibly durable tour credentials or luggage tags. Call us and see how we can implement this technology for you!